the fash pack has been a little remiss about blogging lately. the year is not starting quite right for us. nothing major, just a little funk on the brain. you know how it is in the beginning of the year, you get a little reflective about your life and have to ask yourself: what are we doing with our life? is this what we want? are we happy? are we at peace? is there something else we want to do? how can we make ourselves a better person? how can we improve ourselves? how can we save the earth? huy, tama na! life is too short to ponder these philosophical questions. just go out there and live! 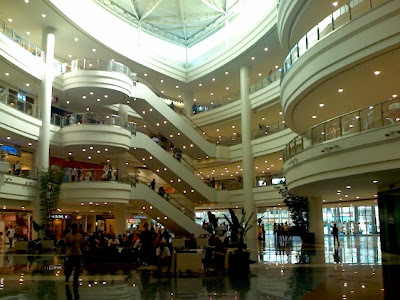 starting by seeing new places, even if it's just this new mall: can you guess where we are? no, we didn't leave the country. we didn't even leave the city! 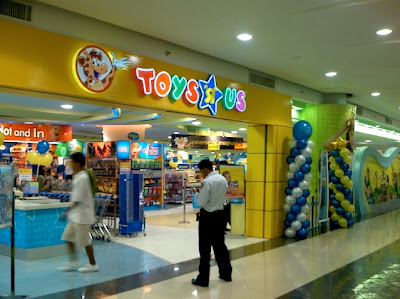 this is in ermita, manila! it's the new annex of robinsons place manila called midtown (it's where the midtown hotel used to be). 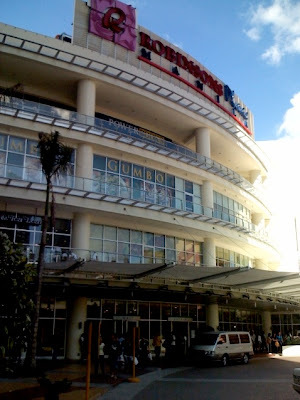 who knew the gokongweis could come up with such a classy-looking mall? we appreciate its high ceilings, making it airy and bright, not dark and cramped and trying to sell off every available space. we hope they keep it this way and not fill up the aisles with kiosks. and thank god, no loud piped-in music, we hate that, noise pollution!! we get enough of it each time we enter a store, music so loud you practically have to yell at the staff just to ask for your size. but that's another post. a lot of shops have not opened yet and we're hoping they get some not found in everymall, although it's got a lot of the usual suspects. 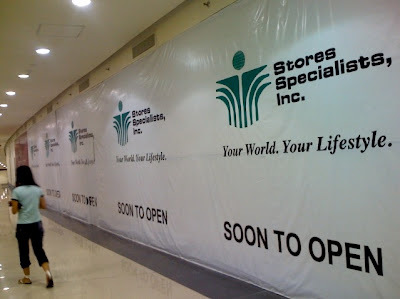 in fact, store specialists inc probably owns half the mall (just like in everymall). they even reserved spaces for stores that don't exist yet! well, looky, here's something that's not found in everymall: but they have to do something about this fountain and control the spouts. no one can walk next to it because everyone gets wet! wild water! 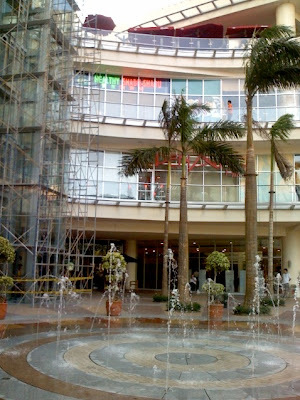 A matino mall by Robinsons!